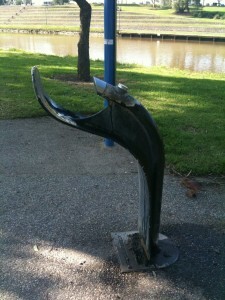 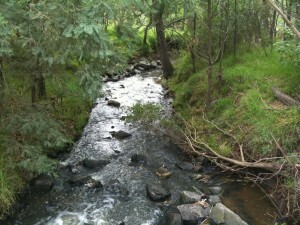 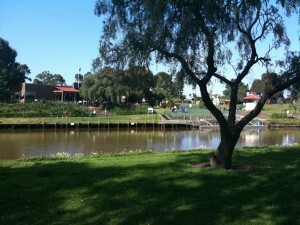 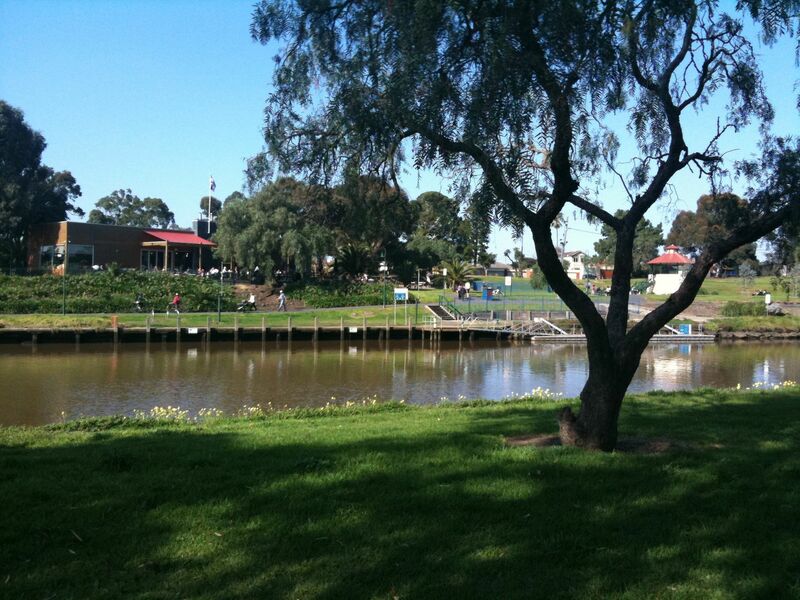 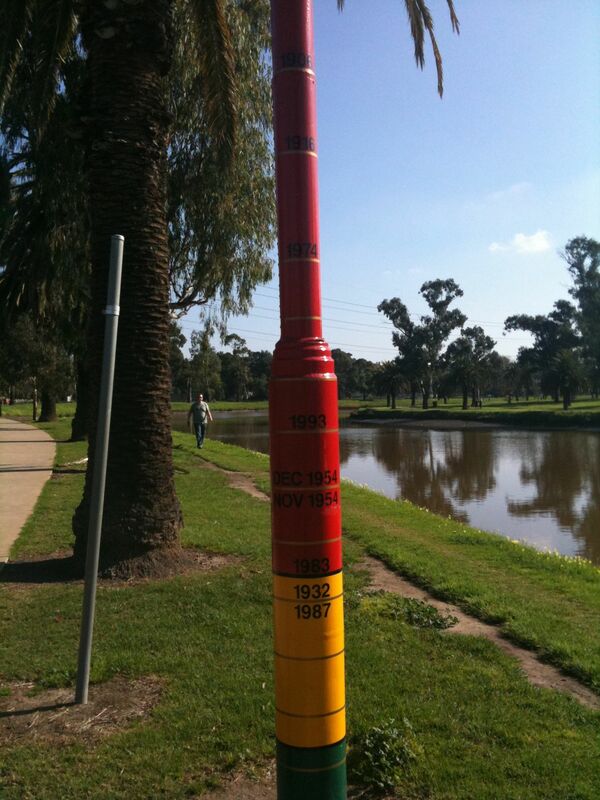 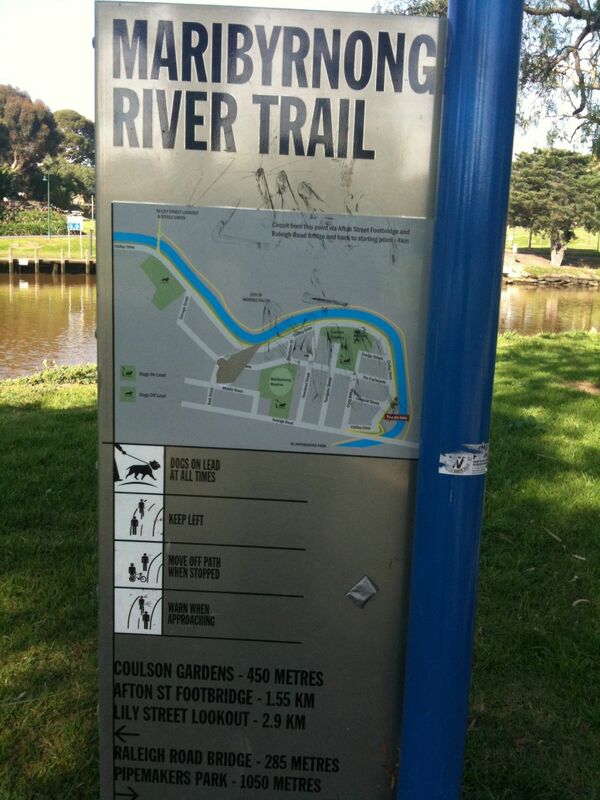 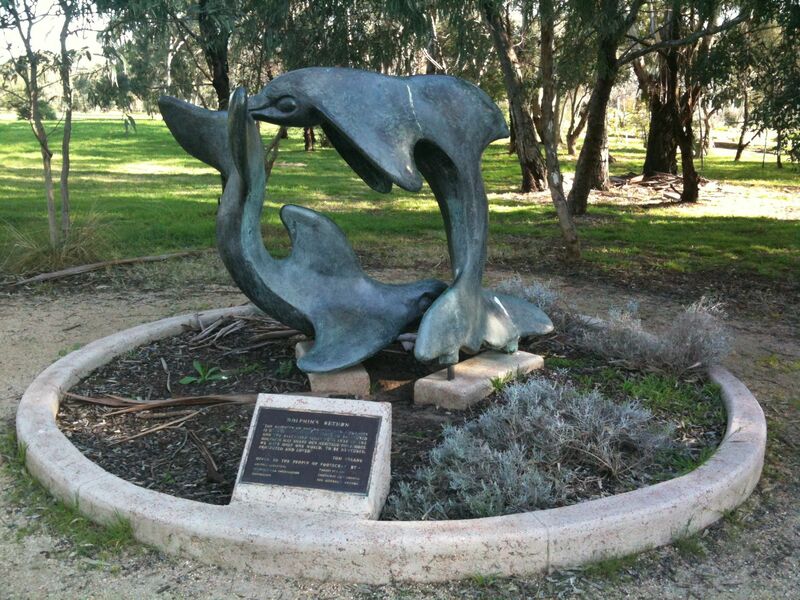 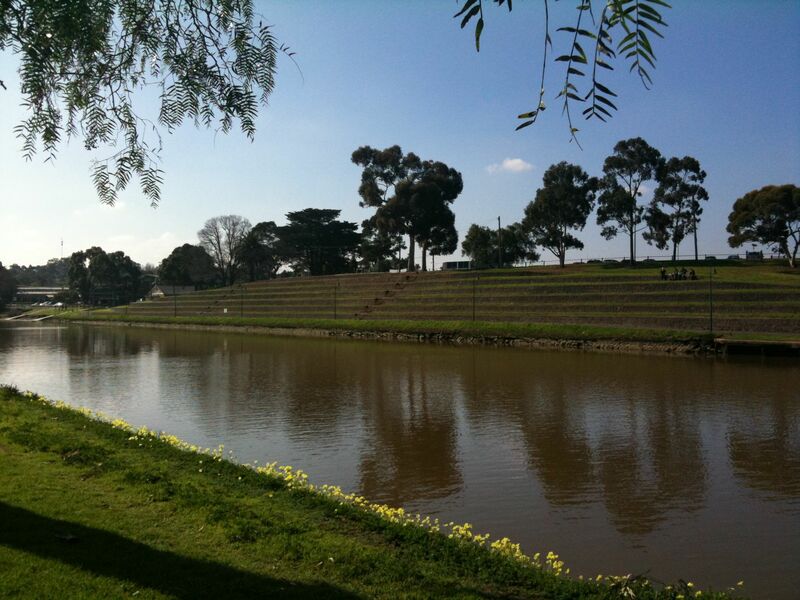 This walk follows the Yarra River and Gardiners Creek near the city although it does seem much further away. The most interesting part of this walk is where the track follows directly under the Monash Freeway on a hanging walkway. This walk passed through various types of scenery – historic houses in quiet tree lined streets, botanic gardens, bustling shopping strip and pier, secluded beach, and a swimming beach. 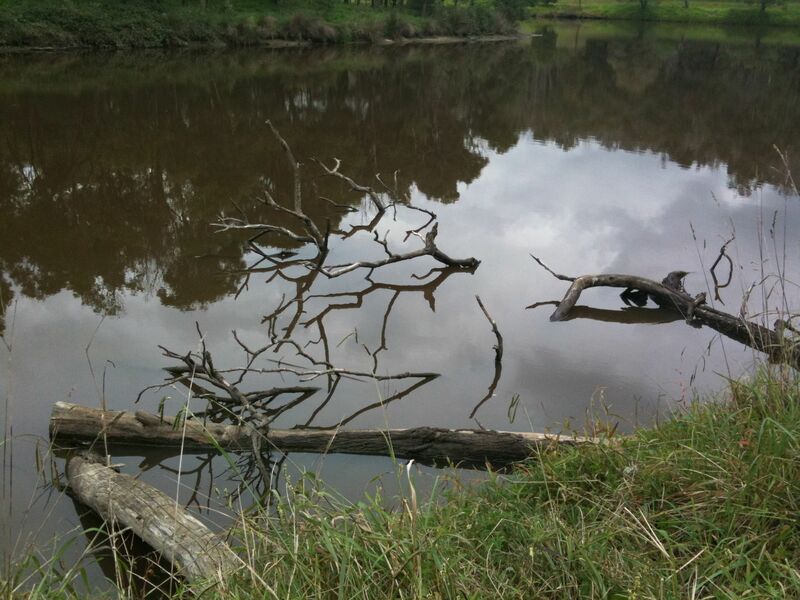 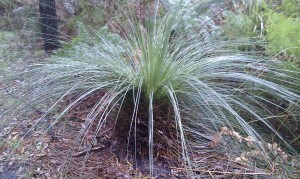 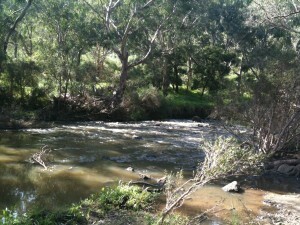 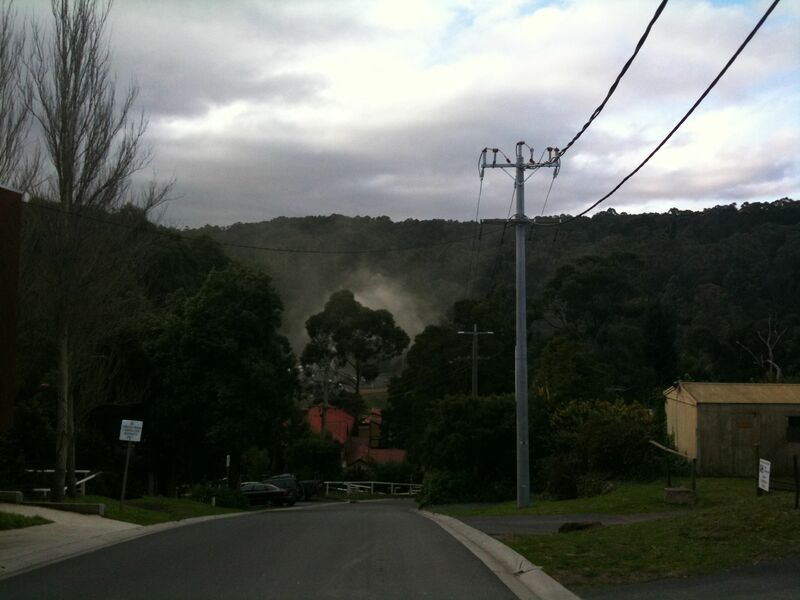 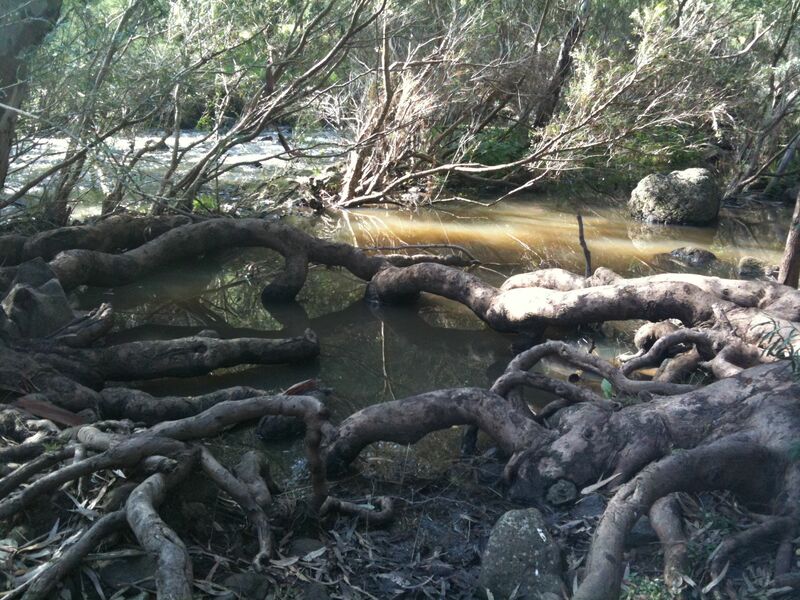 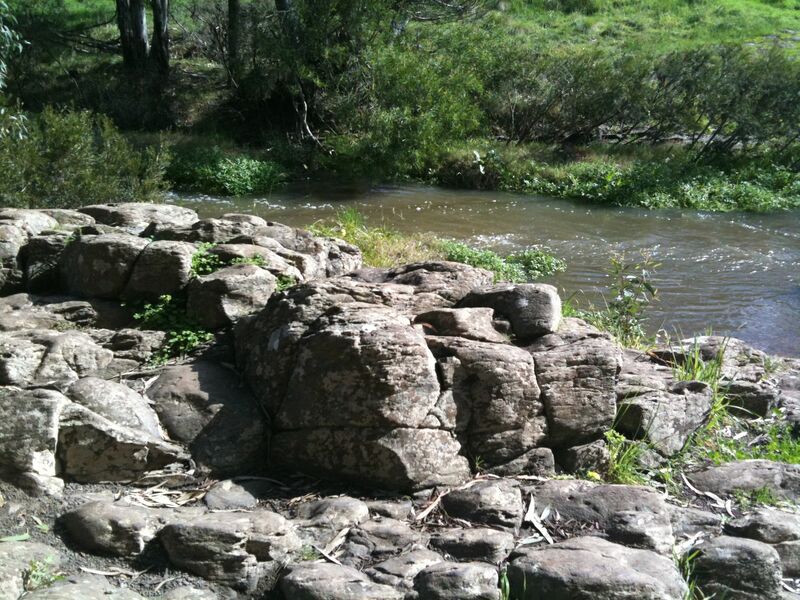 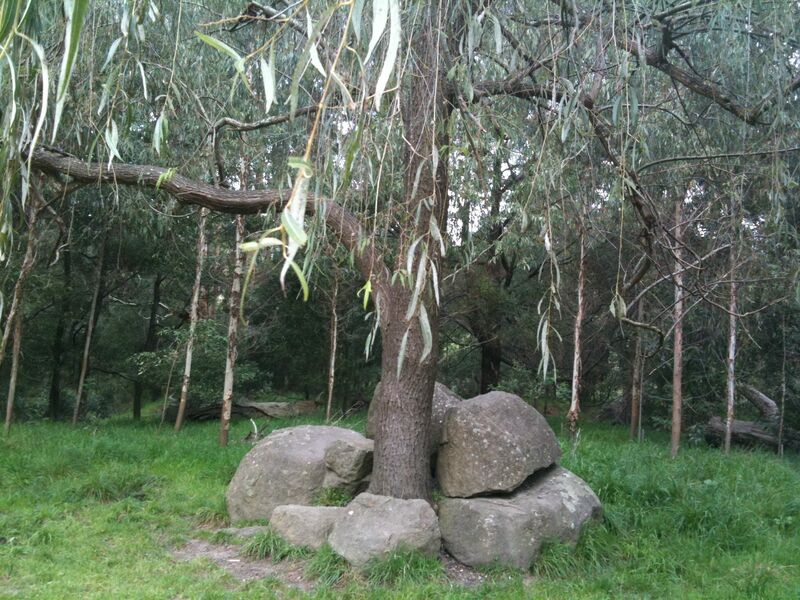 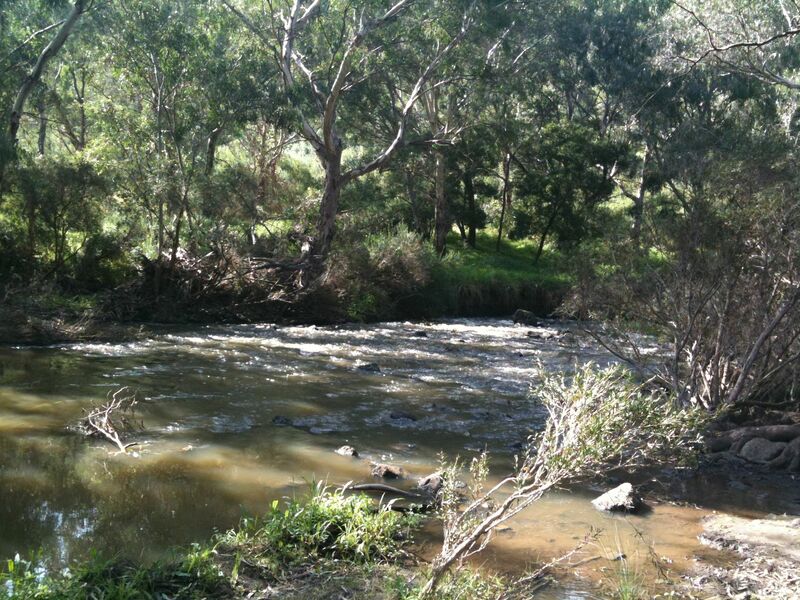 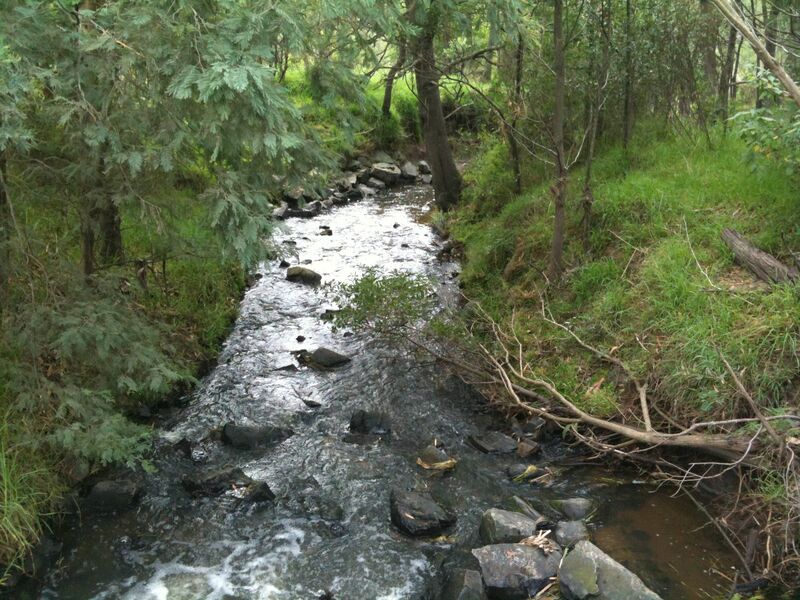 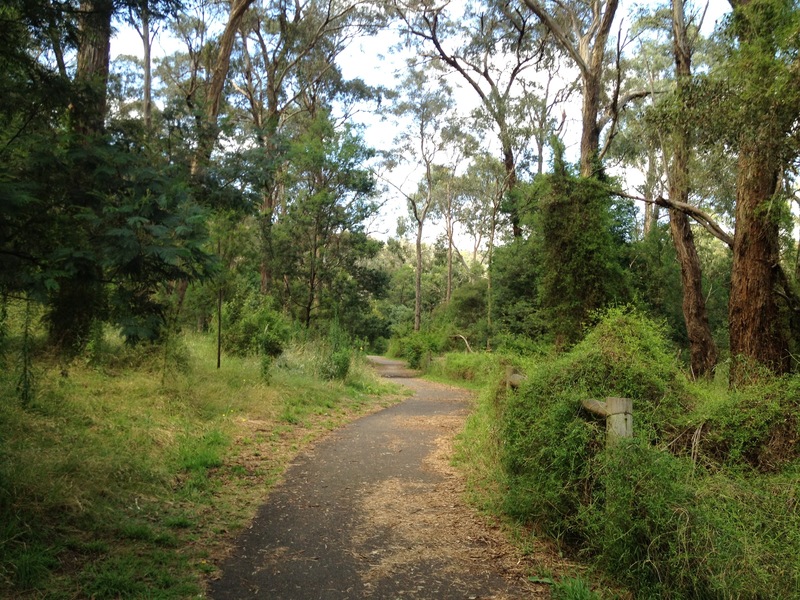 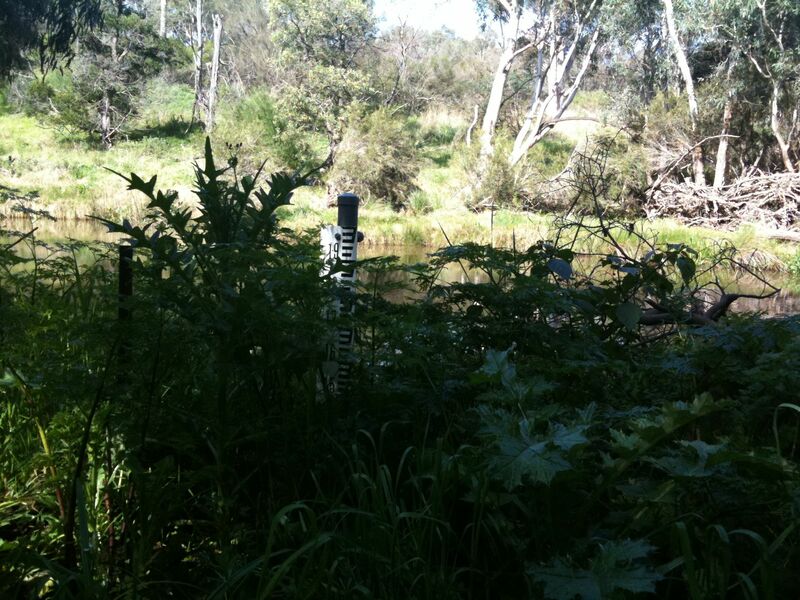 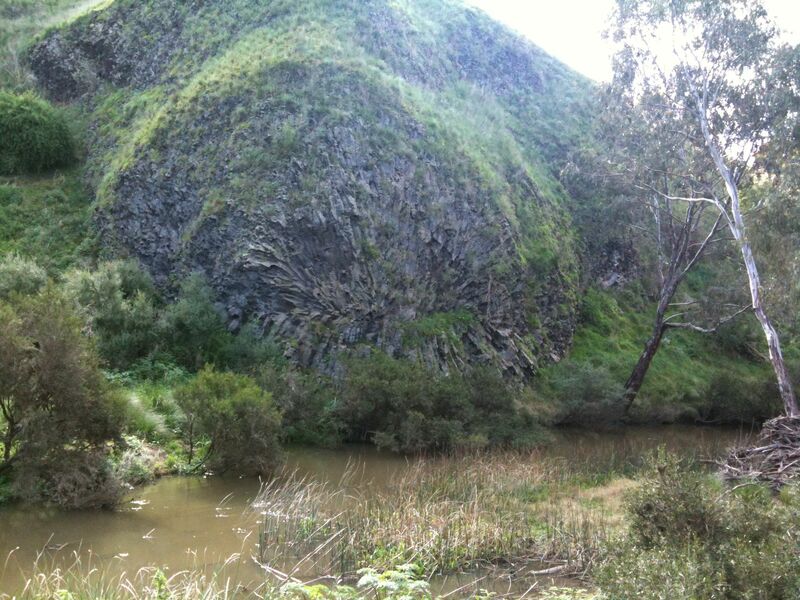 Pound Bend is a bushy area around the Yarra River in Warrandyte State Park. 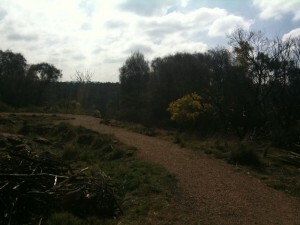 The walk is near a made man tunnel in Yarra called Pound Bend, and the track follows the river around the river then through a large cleared area before heading back through bush to the beginning. 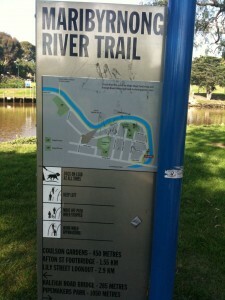 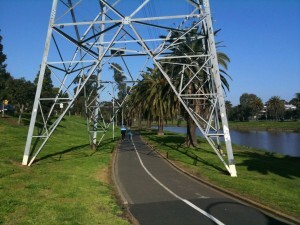 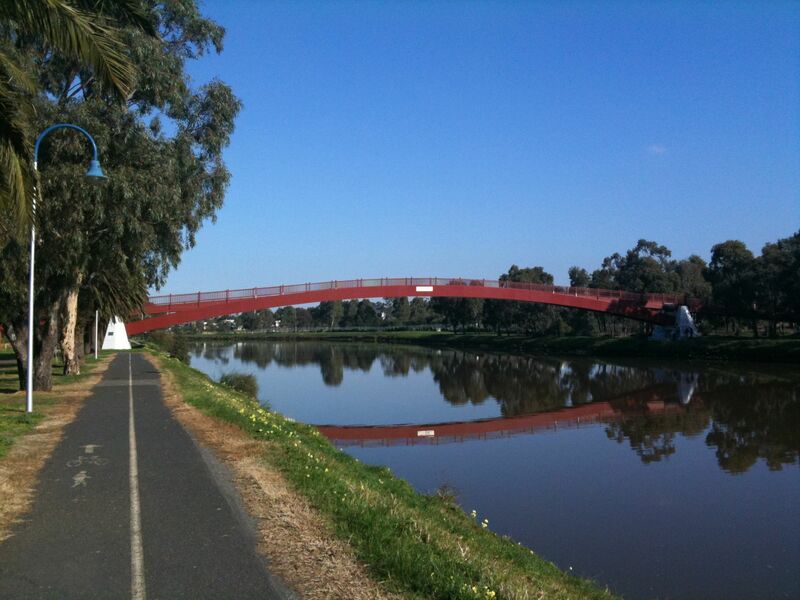 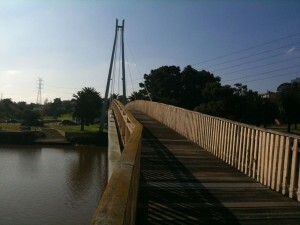 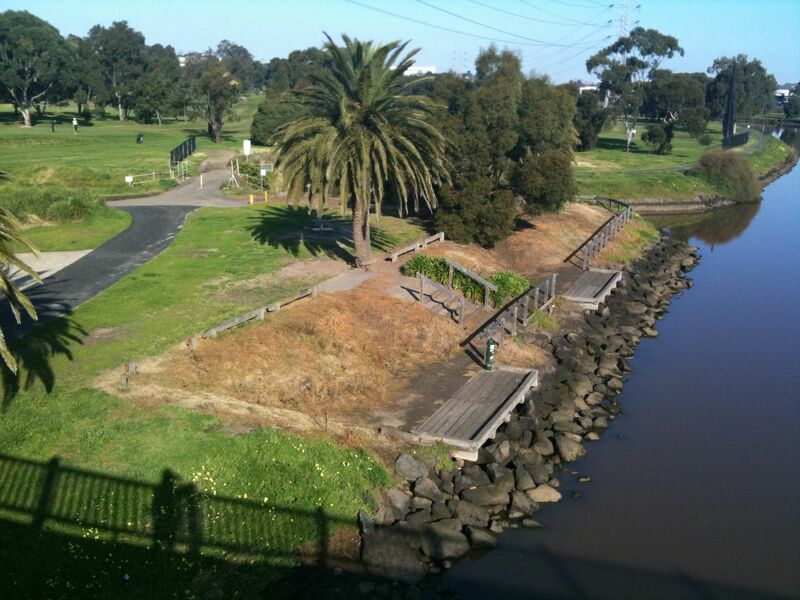 This walk follows the Maribyrnong River in a circuit connected by two footbridges over the river, with Maribyrnong Road roughly in the middle of the circuit. There was no shortage of picnic spots and playgrounds along this walk! 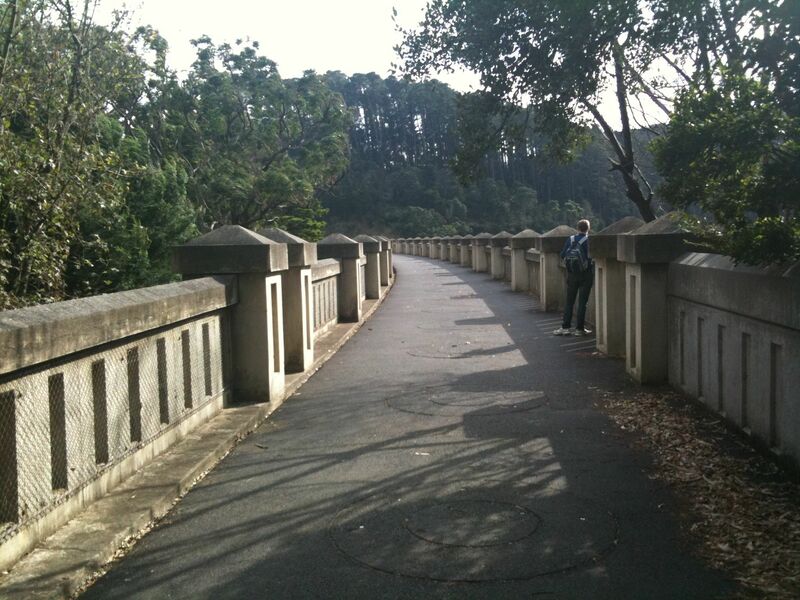 It was such a beautiful day so there were people everywhere walking parts of this track. The northern section (north of Maribyrnong Road) was much more popular than the southern part and was busy was cyclists, runners, and walkers, but I found the southern part much nicer due to it feeling more remote and bushy. 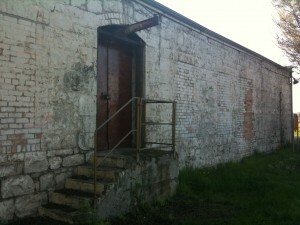 I wish i’d had more time to explore the Melbourne Meat Preserving Company buildings in the Pipeworks park along the way. This is a fairly short walk but the geological formations here make it worth seeing. 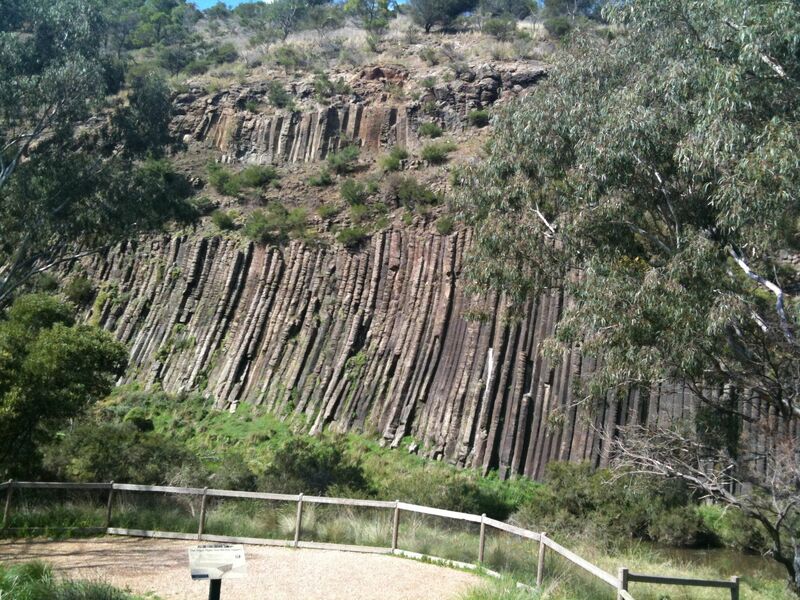 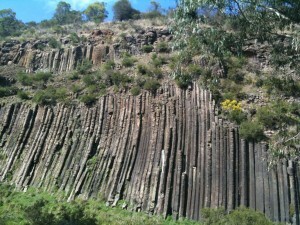 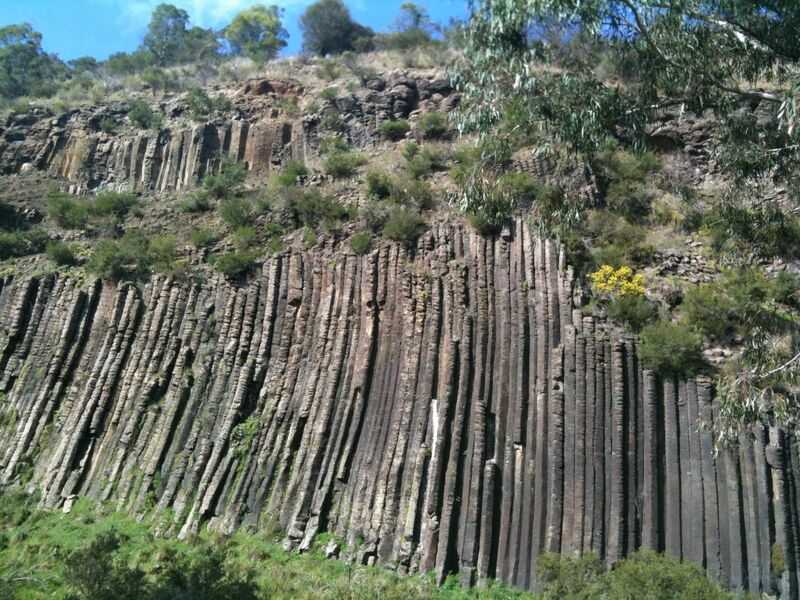 The Organ Pipes are the main feature, but the Rosette rock and Tesselated Pavement are interesting as well. The track to the formations is quite steep as it descends down into a valley, and is of course quite steep on the way up too. The rest of the walk is fairly flat. Apparently there is a bit of wildlife in this area, but I only saw lizards and bees. 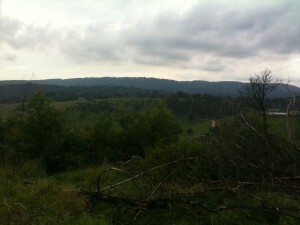 The walk starts at the top of the valley. 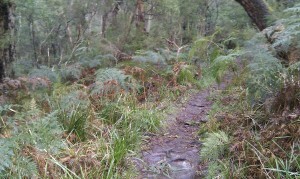 The path drops steeply down the valley. 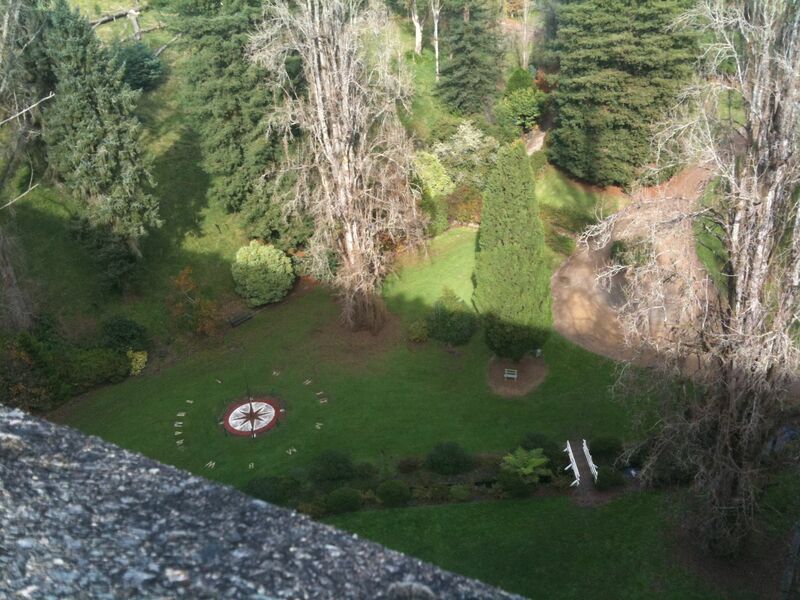 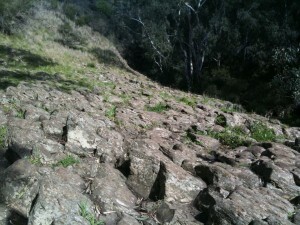 It's a steep walk both up and down, but not too difficult. 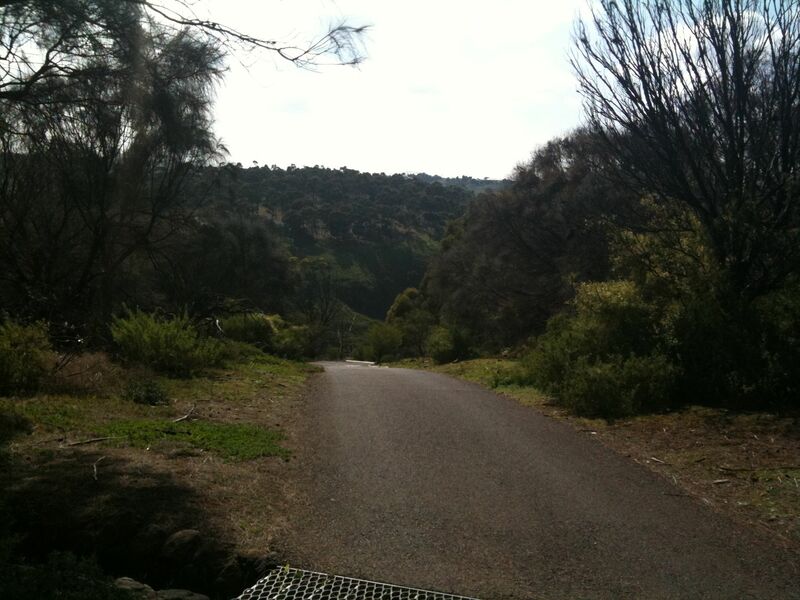 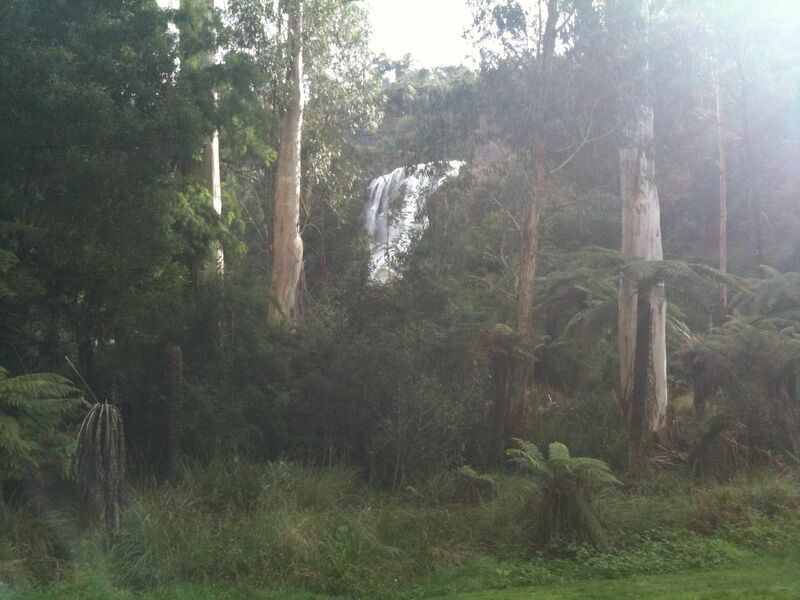 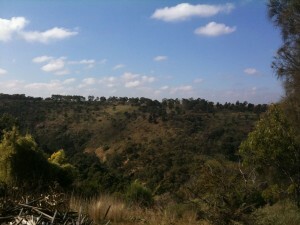 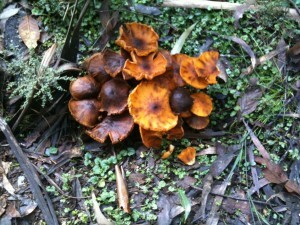 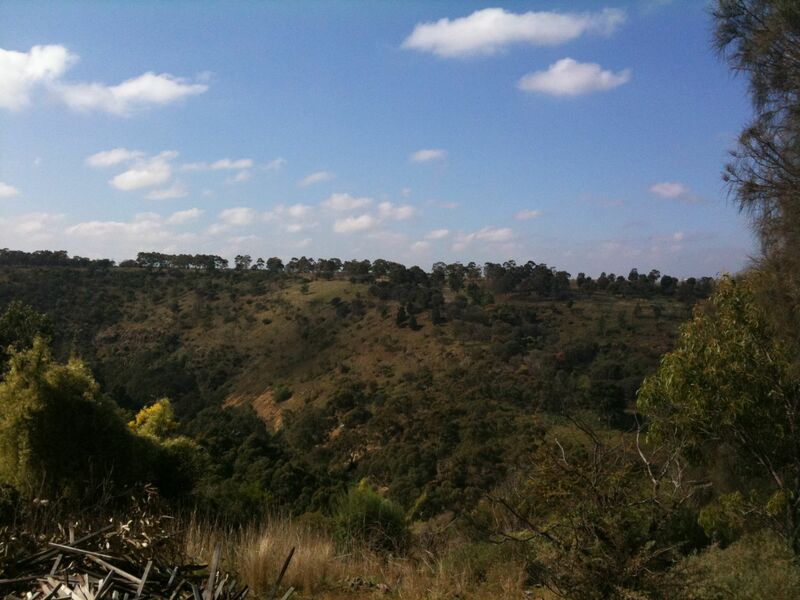 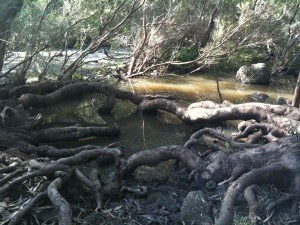 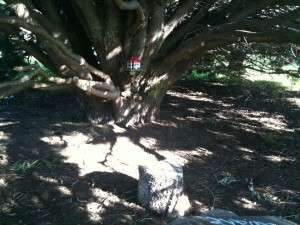 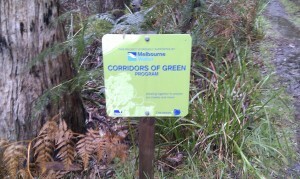 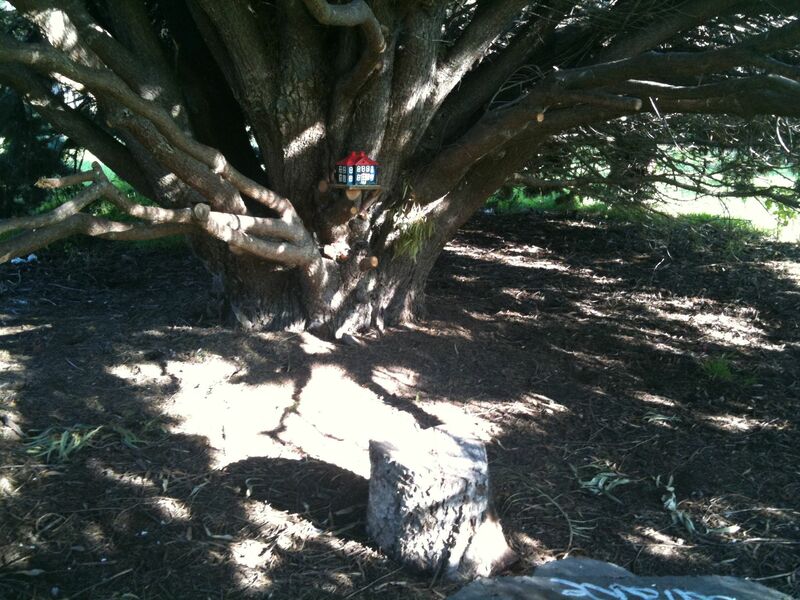 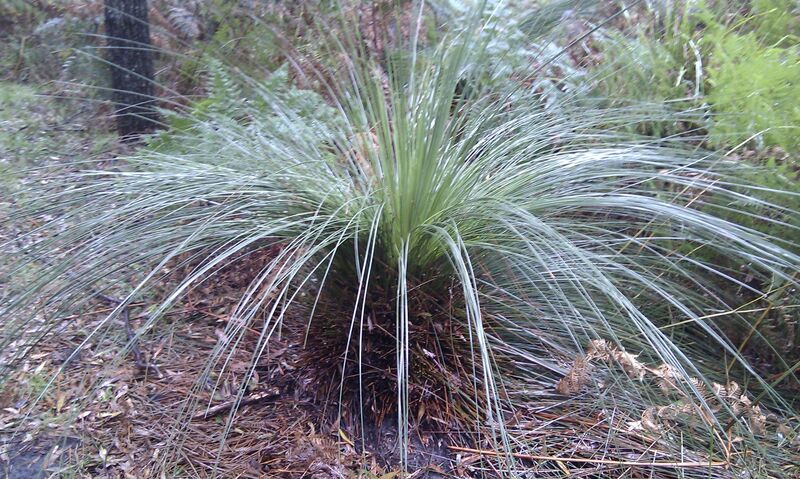 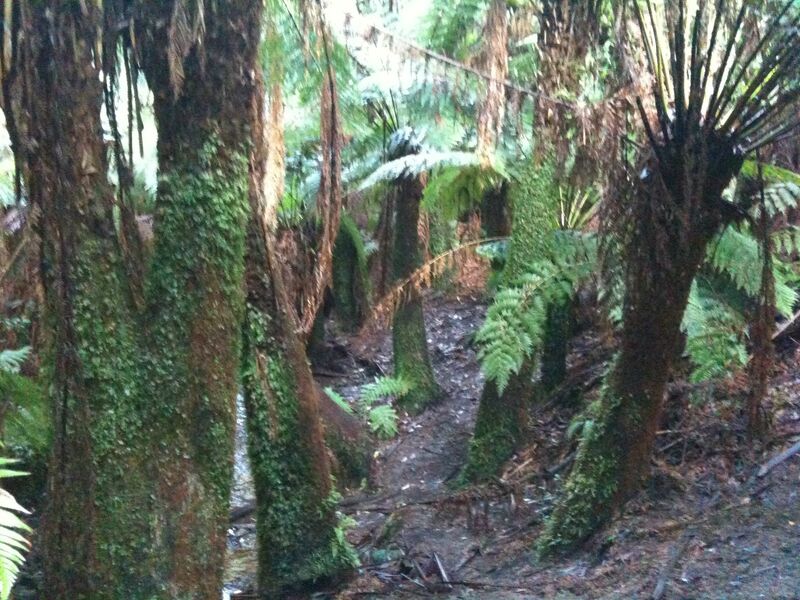 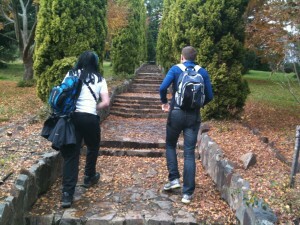 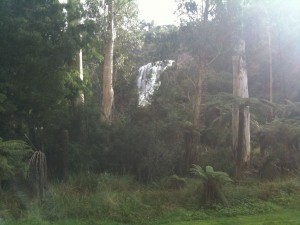 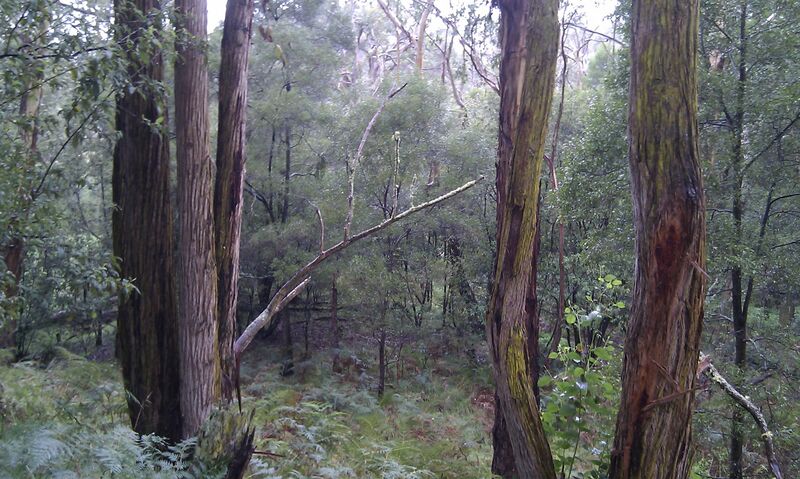 This is an easy walk through a nice bushy area in the Mornington Peninsula called Green’s Bush. 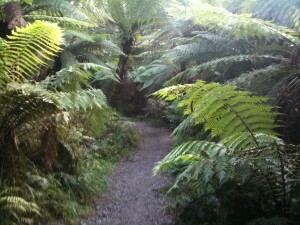 The area is quite pretty with no shortage of ferns and other interesting plants and trees. It rained on the day I was there causing the track to be muddy and a bit slippery, and it felt like we walked more uphill than downhill. 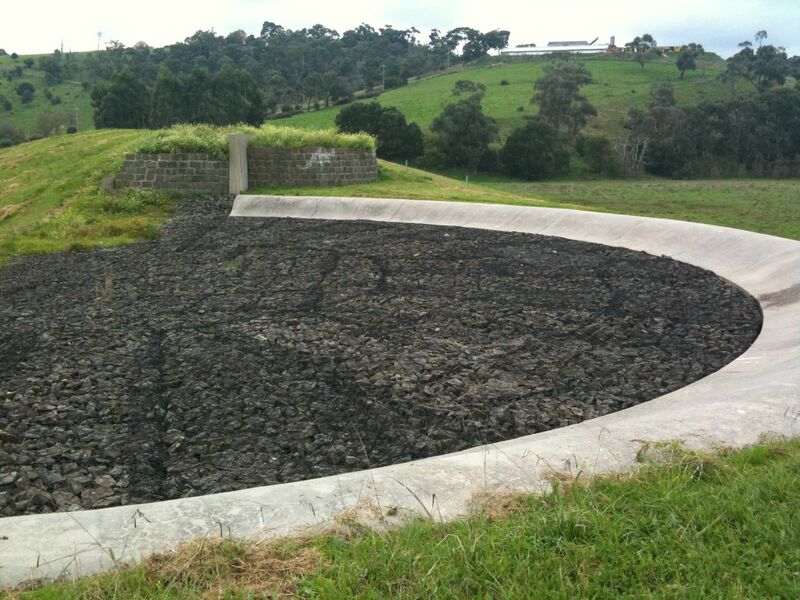 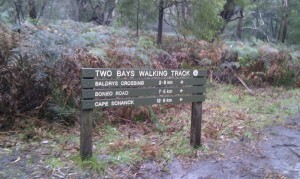 Part of the circuit is along the Two Bays Walking Track, which is the longest walking track in the Mornington Peninsula. 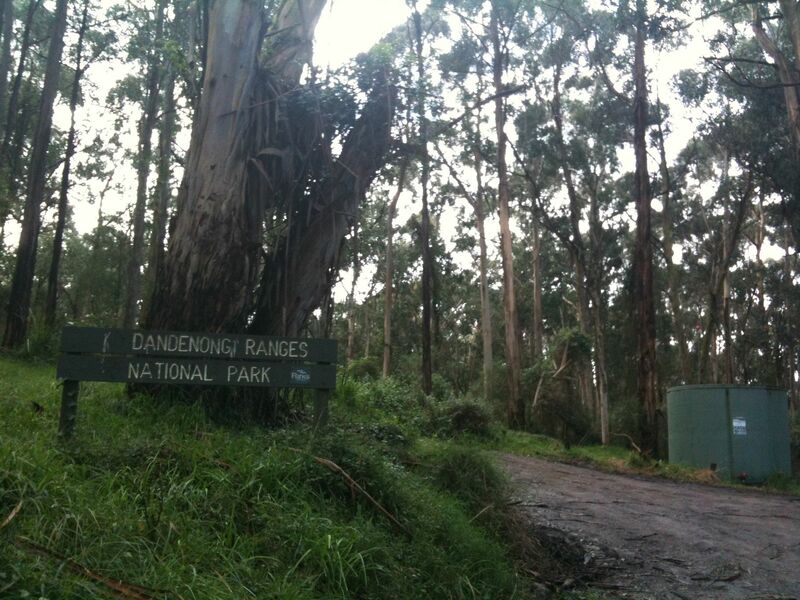 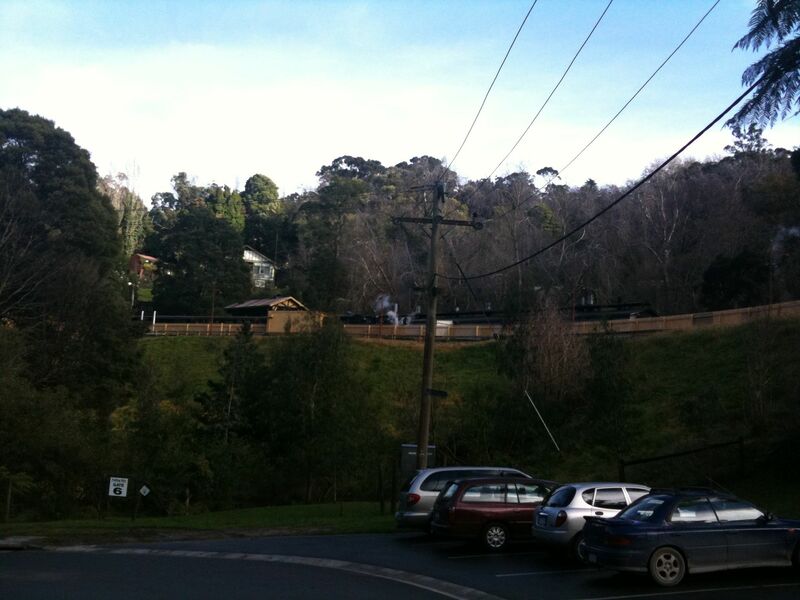 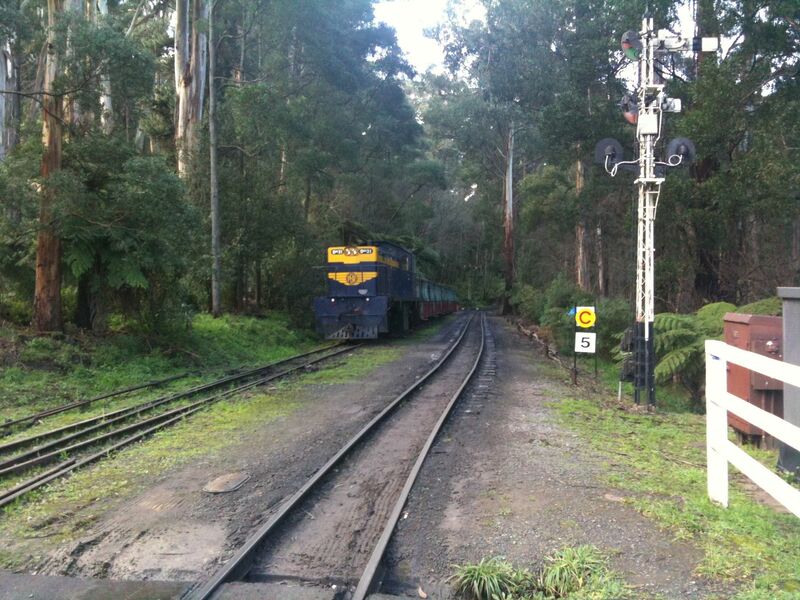 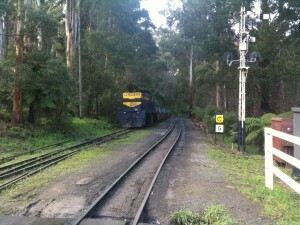 This walk starts at Belgrave Train Station and climbs up a steep road to the entrance of the Dandenong Ranges National Park. 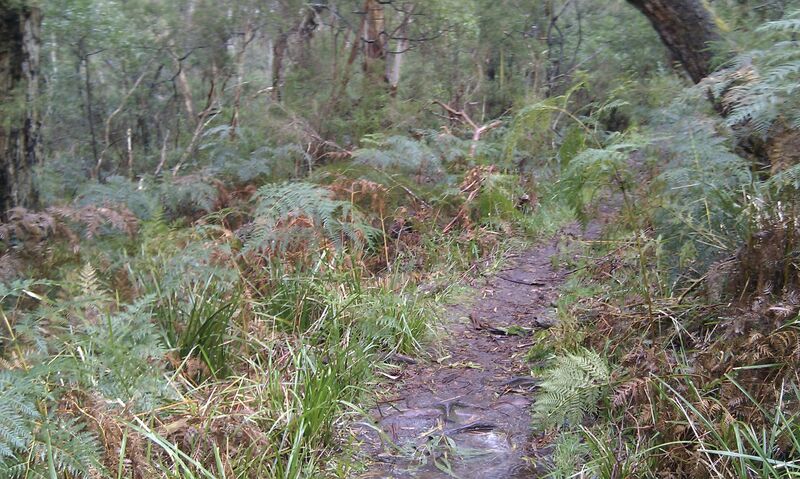 From here the walk is reasonably flat and easy for a couple of km’s up to Grants Picnic Ground. 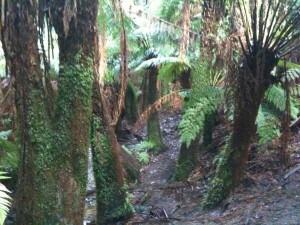 The track then loops back via a pretty ferny track with a fair share of ups and downs. Near the end of the track, in the couple of hundred metres before reaching the park entrance from the other side of the loop, the track climbs steeply, which is the only reason this walk is graded an easy-medium. 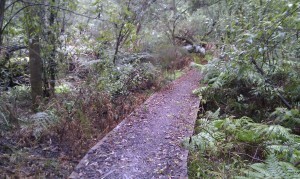 Overall this is a really pretty walk, although it is quite muddy after rain as we discovered. 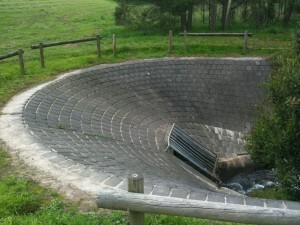 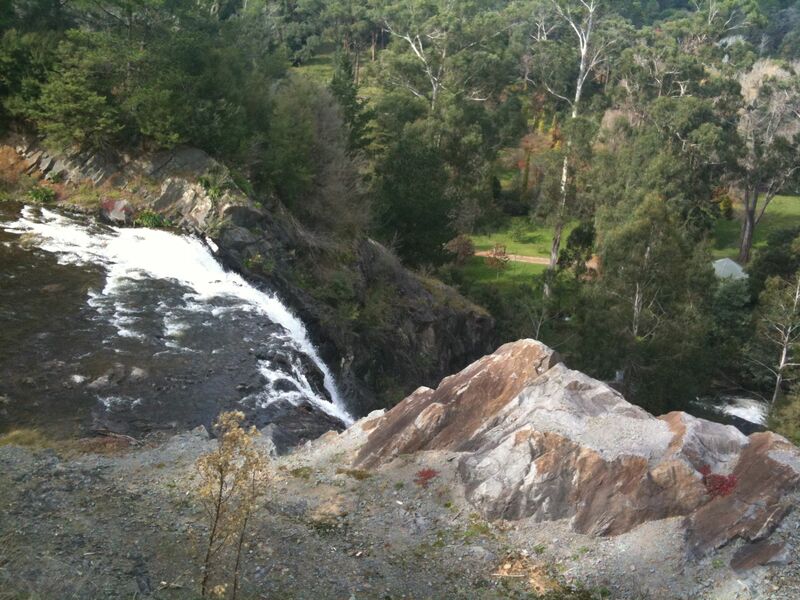 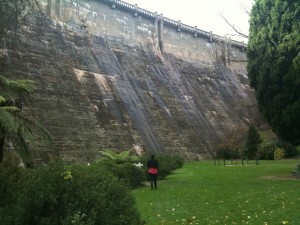 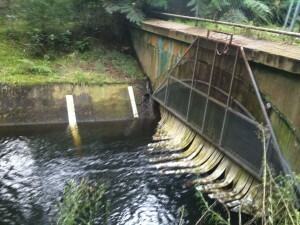 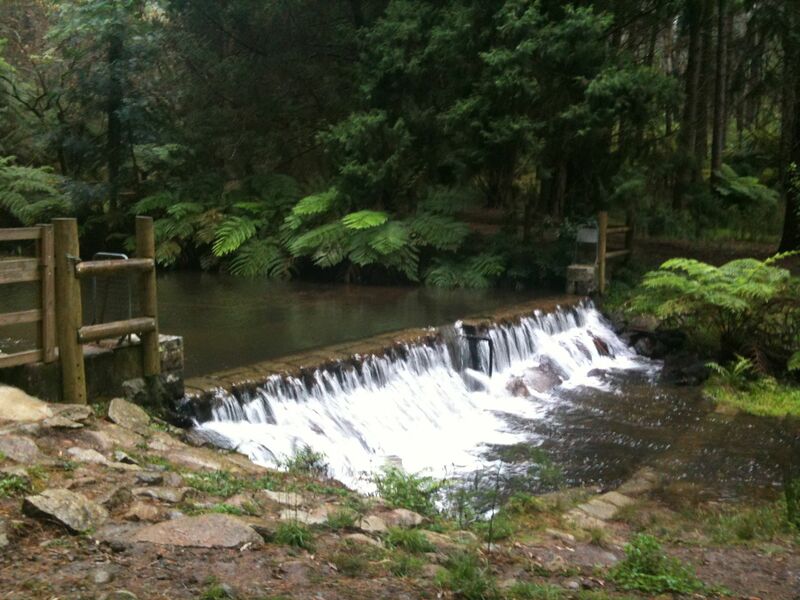 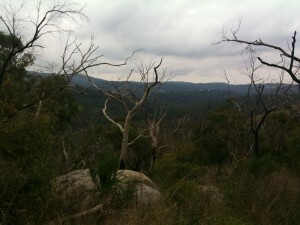 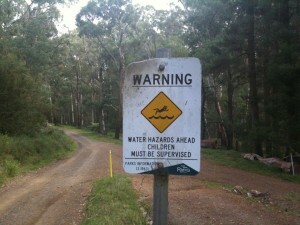 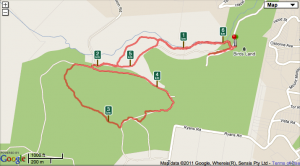 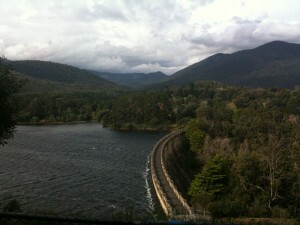 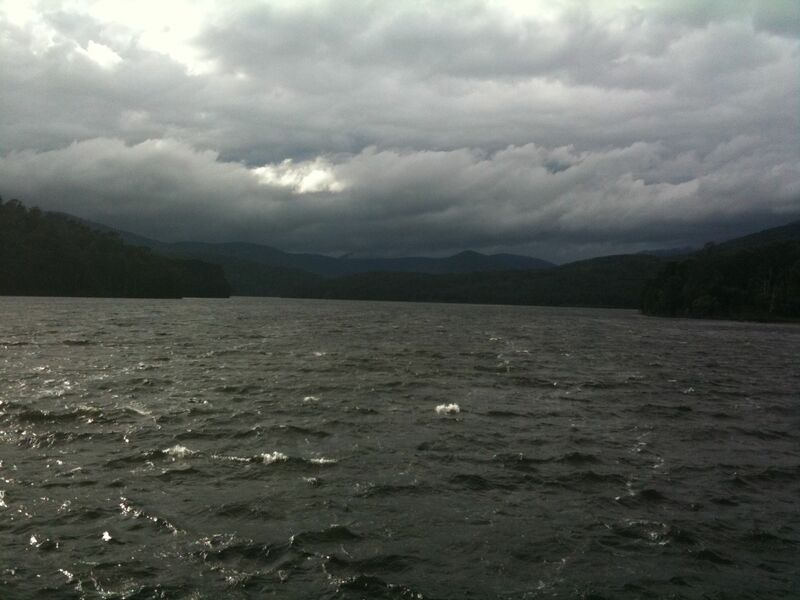 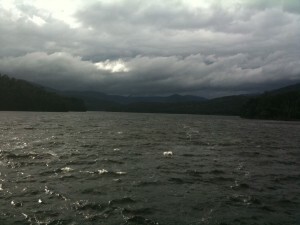 This walk is a pretty circuit from Henderson’s Picnic Ground in the Maroondah Reservoir Park to Donnelly’s Weir. 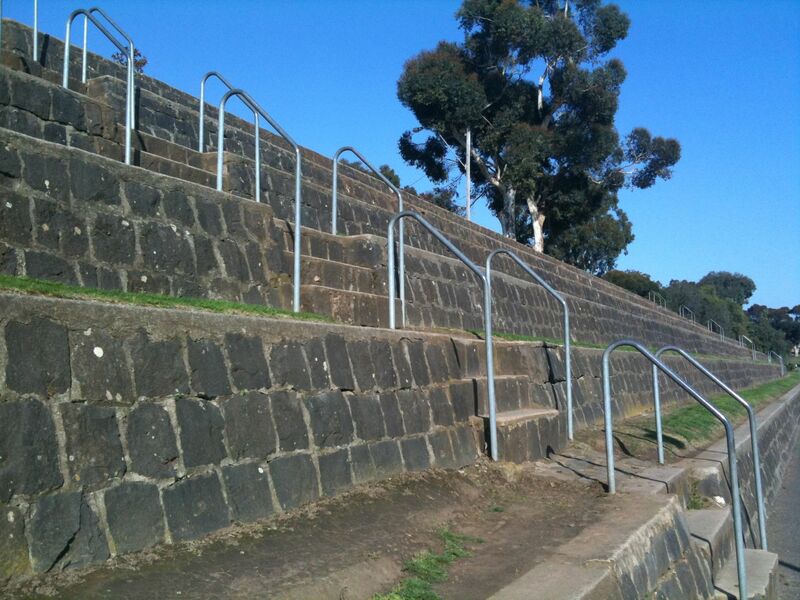 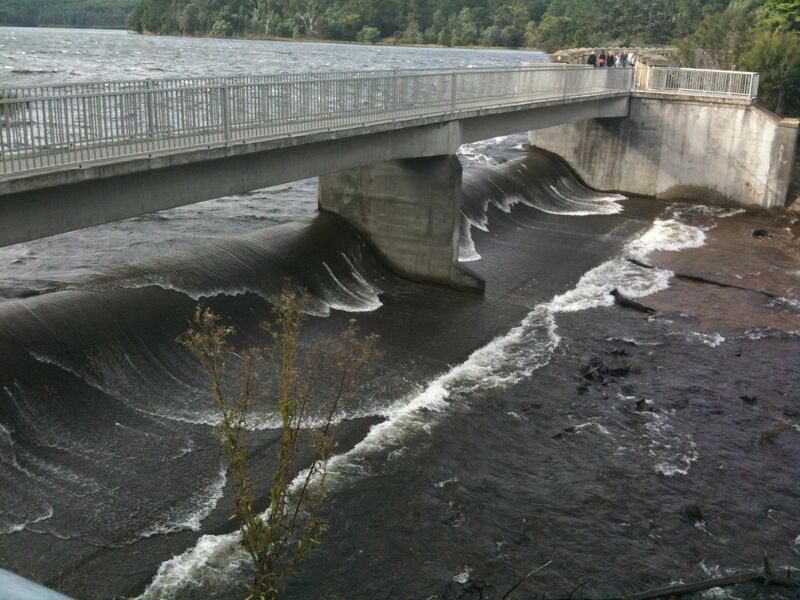 The walk starts by climbing up the Rose Stairway and along the dam wall before following an open aqueduct towards Donnelly’s Weir. On the way the track passes by a lookout over the Reservoir. 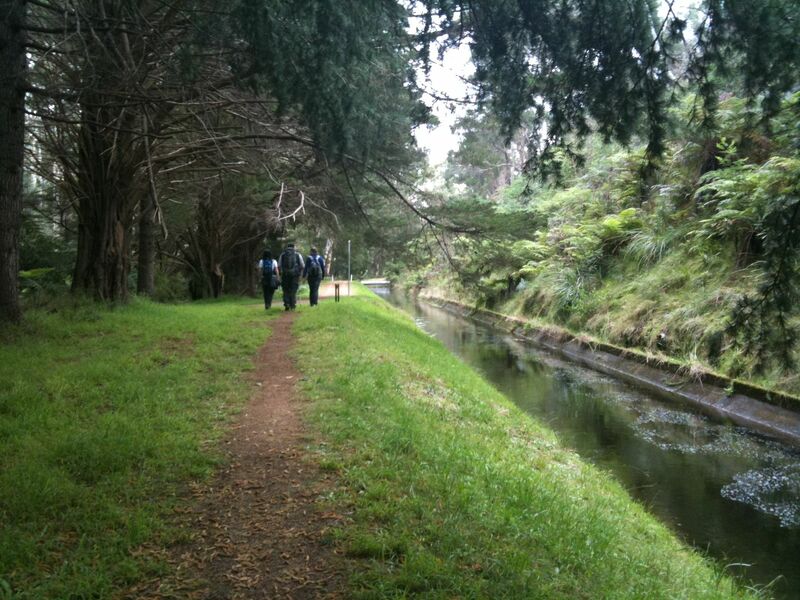 The track then heads back along the aqueduct and diverts off towards Henderson’s Hill. At this point the track climbs steeply up to the top of Henderson’s hill, before an equally steep descent leads back down towards Henderson’s Picnic Ground. 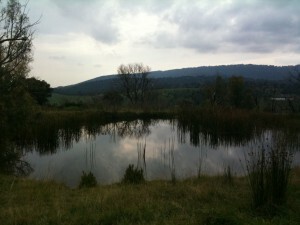 Birds Land Reserve is located south of the Dandenongs and north of Lysterfield Lake, and nowhere near as nice as either of them. 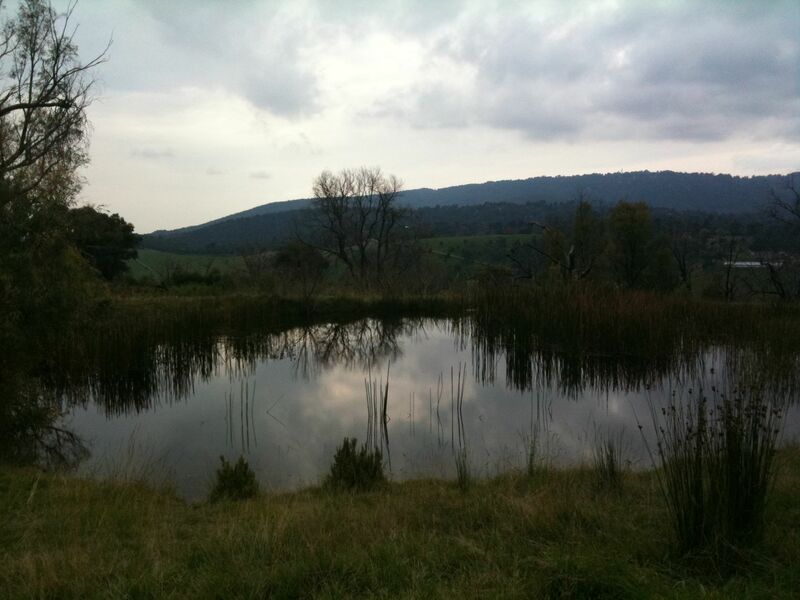 The walk passes two lakes that seemed popular for walking around, and then goes through a more remote area that leads up a hill on the Sunset Track where there were some nice views of the surrounding mountains. 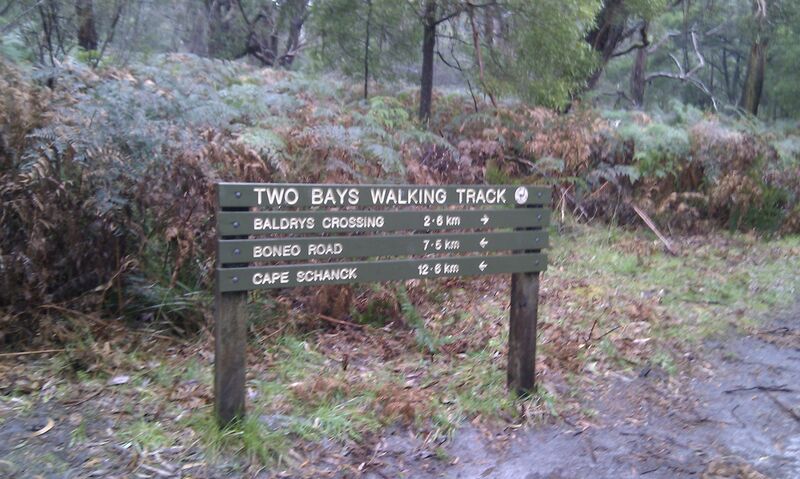 The start of the Sunset track was quite vague and if it hadn’t been signposted I would have missed it. 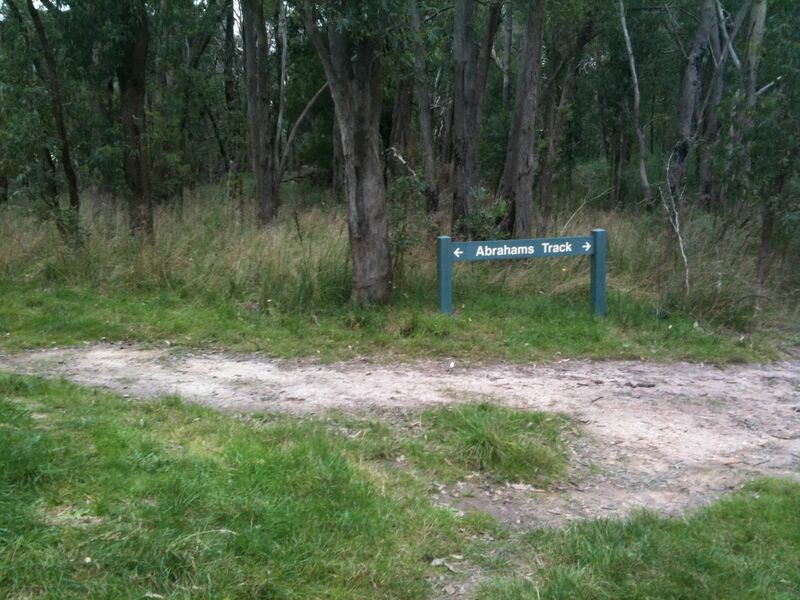 Even with the signpost I was still unsure whether it was the right path. Luckily it was. 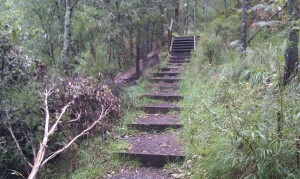 The path climbs up steeply to the top of the hill. 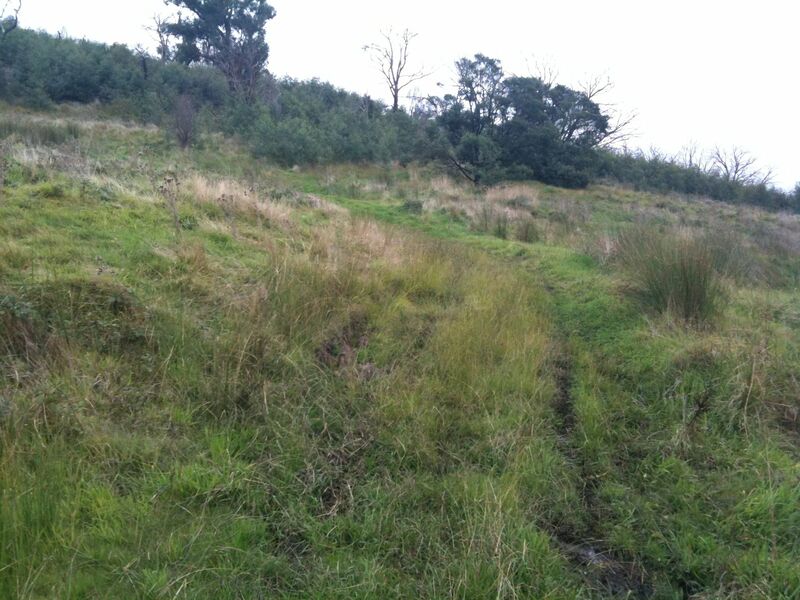 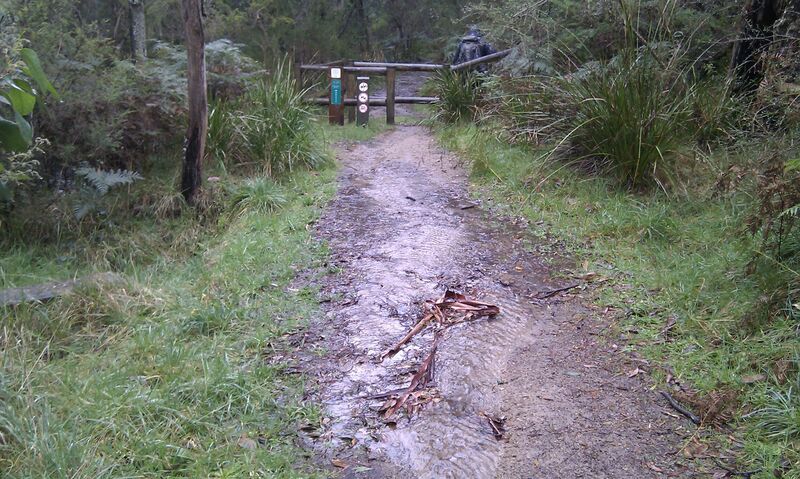 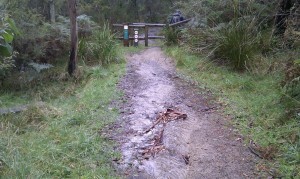 The track back down, Abrahams Track, was much more well defined, but became quite muddy in places. 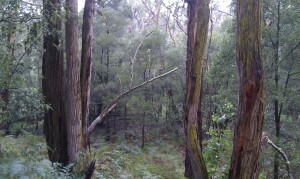 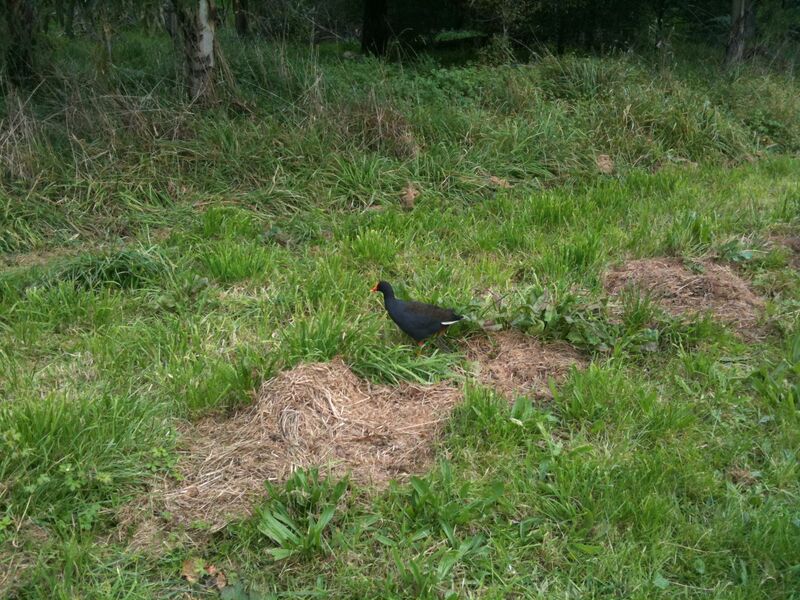 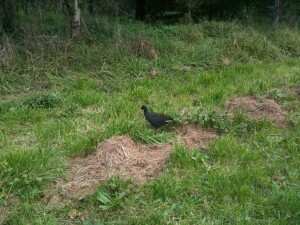 Unlike Lysterfield Park across Wellington Rd, I didn’t see any Kangaroos or other wildlife besides the birds. 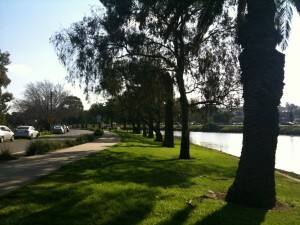 I would prefer a walk around Lysterfield Park any day. 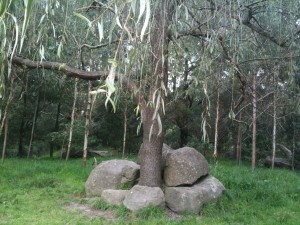 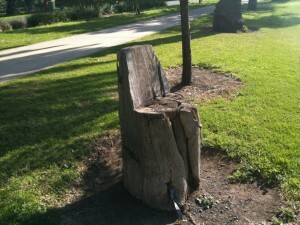 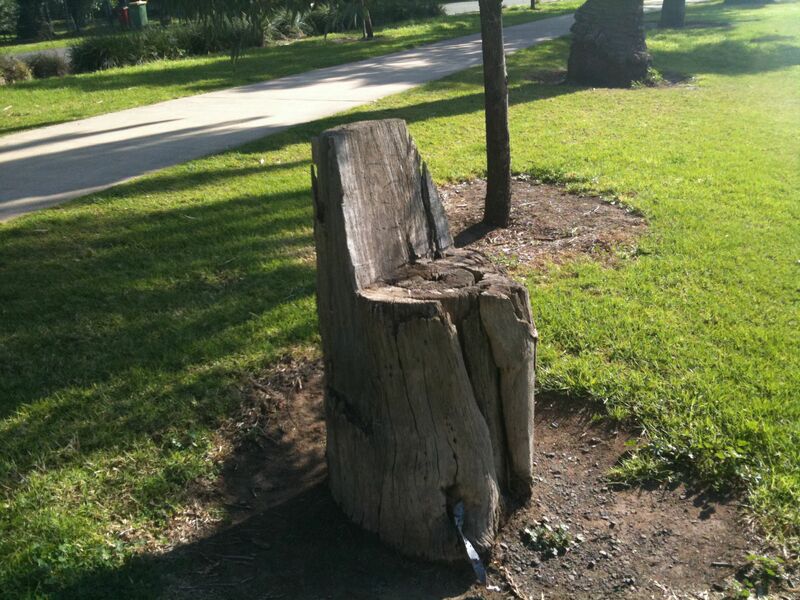 I assume these rocks were placed around the tree. 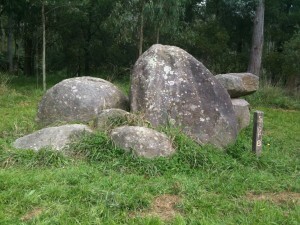 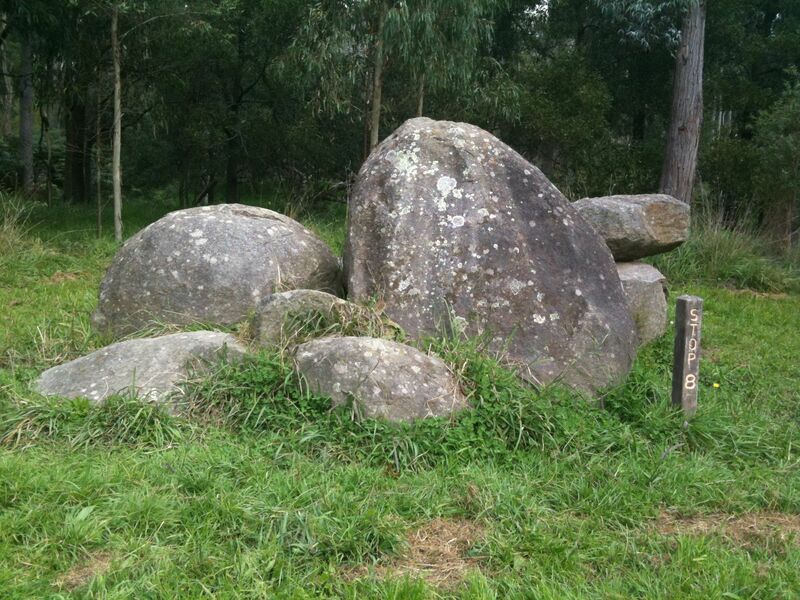 There were lots of granite boulders around the reserve. 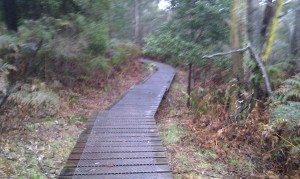 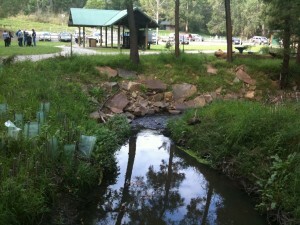 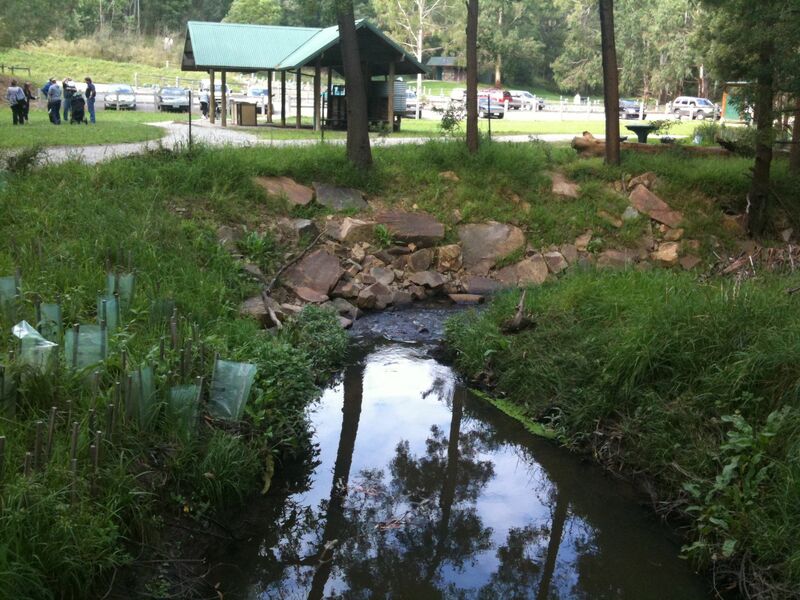 The track initially follows the creek towards to the lake. 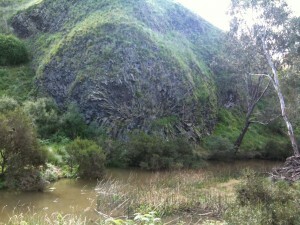 The creek goes under the hill here. The vague black line to the right is the start of the Sunset Track. 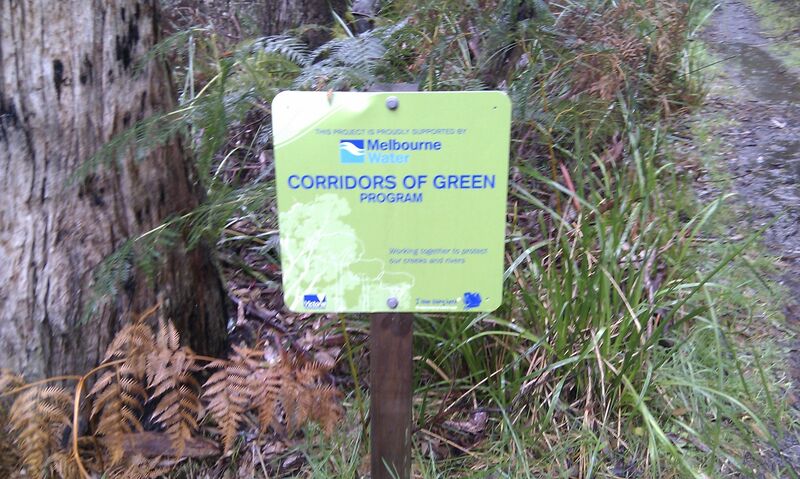 Thank goodness it was signposted or I would have missed it! 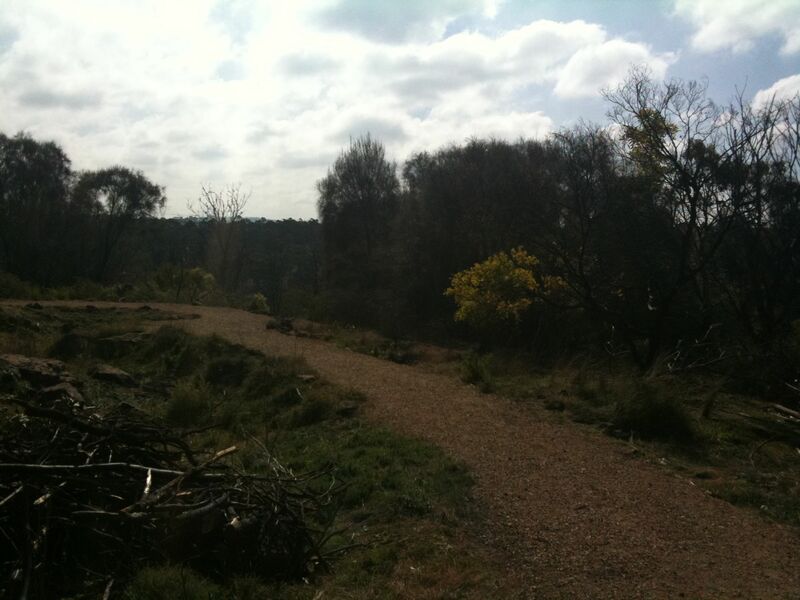 My goal is to walk my way through Tyrone T. Thomas' book '40 Bushland & Park walks in Metropolitan Melbourne'. 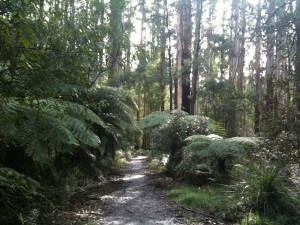 I will post photos and notes about each walk as I go. 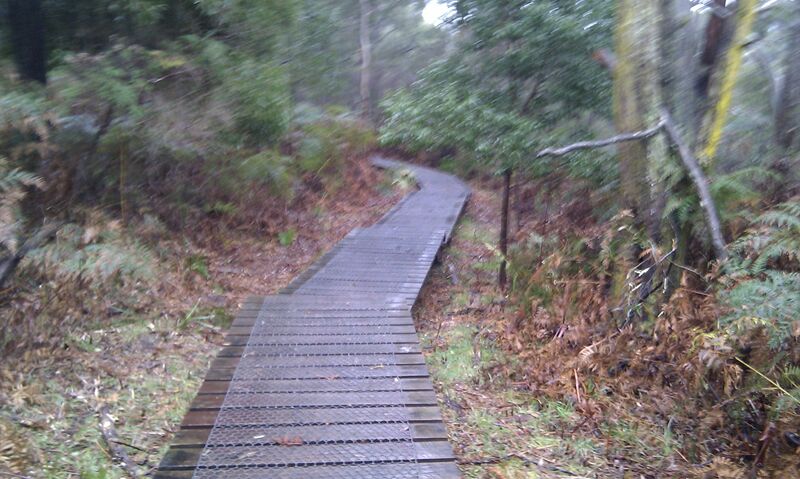 Lately i've been walking more tracks outside of the metropolitan area so will be adding these as well.